Whirlpool WED94HEAW Duet 7.4 Cu. Ft.
Ready to experience a gentle fabric care from a large capacity electric dryer? Our next dryer and its Advanced Moisture Sensing eliminate shrinking. 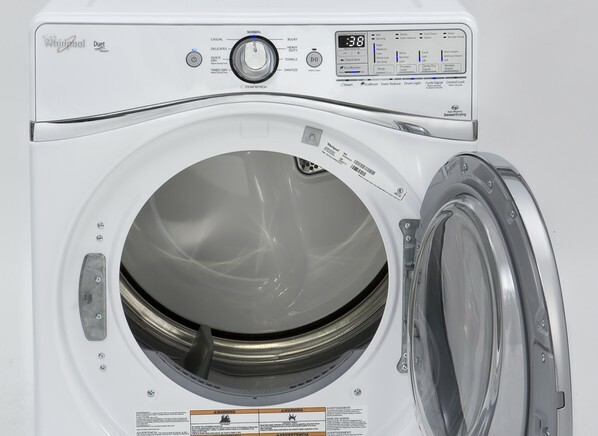 The moisture and temperature levels are monitored by three sensors, ensuring the dryer cycle to stop when clothes are perfectly dry, thus eliminates overdrying. The stainless steel construction of the drum presents a smooth surface that delivers top-notch gentleness. Check out the details below. Capacity (cu.ft. ): 7.4 cu. ft.
Quad Baffles – larger garments billow out in order to be dried completely, while smaller garments keep tumbling without getting stuck. 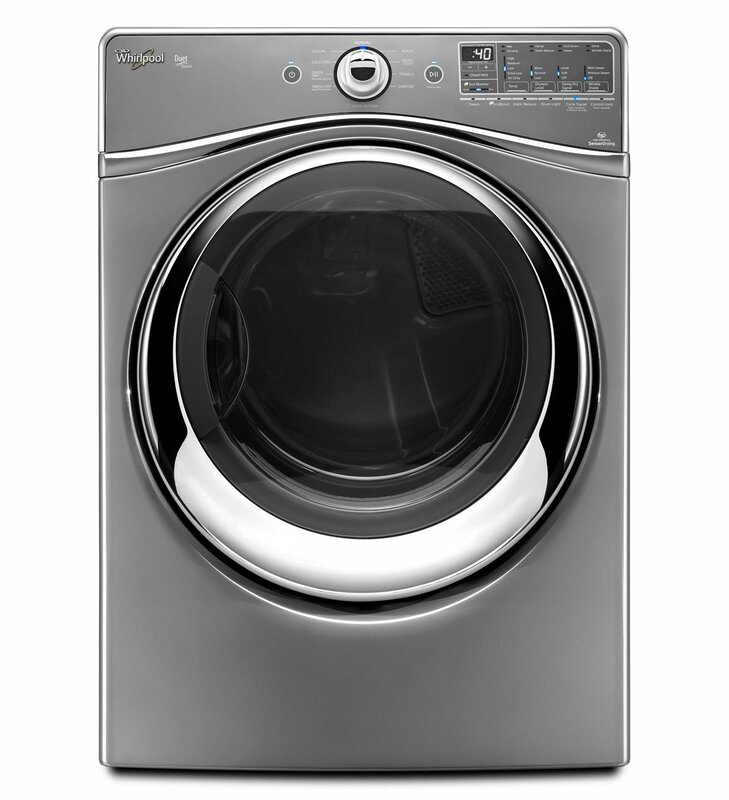 Preserves the Perfect Fit with its Amazing Advanced Moisture Sensing Technology, which helps with the drying cycle end when clothes are completely dry, saving energy and time and preventing overdrying. Ultimate design that increases the dryer’s effectiveness while promoting a balanced tumbling. Quick Refresh System Cycle that helps in removing odors and wrinkles. In just a few minutes, you’ll have ready-to-wear clothes. Normal Cycle for drying your everyday clothes like sheets and work clothes. Delicate Cycle that cares for delicate fabrics like lingerie. It dries them at a low temperature. Timed Dry – meaning that you can run this appliance for a set period of time in order to help synchronize the washing/drying processes. Eco Monitor rates the energy use and shows your eco-performance. Great features and amazing performance. The Steam Technology removes odors and relax wrinkles. Quiet Dry Plus Noise Reduction System is great because it places sound-absorbing materials around the drum of the dryer in order to help reduce noise. The Touchscreen Display is really easy and convenient to use and it also provides easy selection for different options and shows status and time remaining for the cycle. It has check vent for safety precaution. The EcoBoost™ option uses a portion of the dual heating element of the dryer and extends the cycle time, which means you’ll get top-notch drying performances while saving money. The interior drum light is another advantage because it illuminates the dryer’s interior, making the loading and unloading easier. Conclusion: Simply put, with this dryer you’ll have a strong selection of cycles, extra features and adequate drying. It doesn’t bring any top-quality style, but it looks nice. 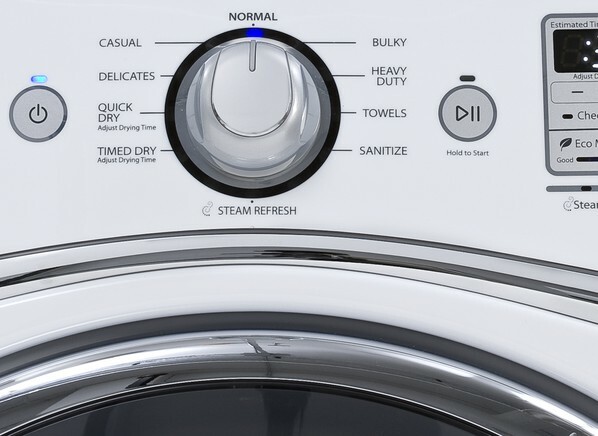 The controls use blue indicator lights that pop, making this dryer easy to read. 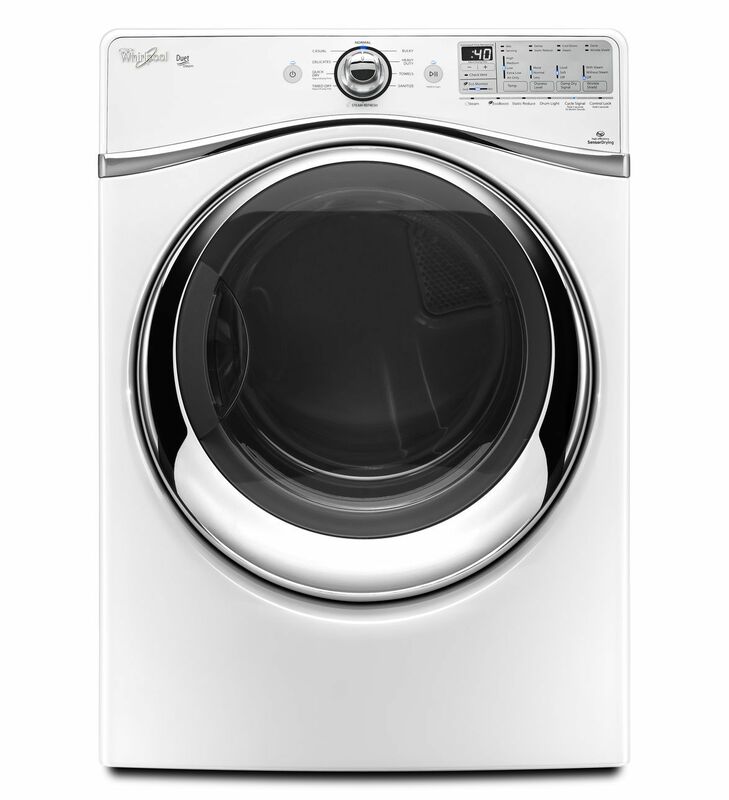 We’ve tested other machines (some of which have better features and are more expensive), but if you’re not willing to spend a fortune on a new dryer, then you should have this Whirlpool dryer in your laundry room.